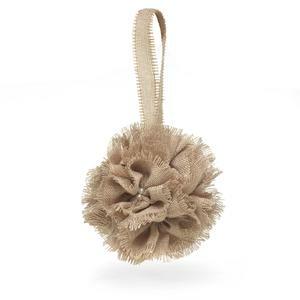 25454 - Burlap kissing ball with pearl accents and burlap handle. Use as an alternative to the flower girl basket or for decorating. 5" diameter.